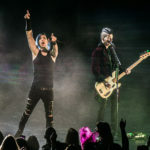 On Wednesday, March 13th, Marianas Trench returned to their second home in Toronto with a performance of their Suspending Gravity Tour at the Sony Centre for the Performing Arts. 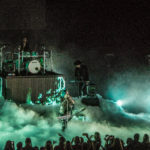 The Vancouver, BC natives had just released their 5th studio album, ‘Phantoms’ on the 1st of March and on the day of this show, it reached #4 on Billboard Canadian Albums. It seems that they’re finally getting the recognition they deserve. 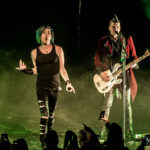 That night, the smell of popcorn filling the air from the concession (one of the perks of performing at the Sony Centre) as fans took their seats decked in their brand new Marianas Trench merch. Opening for the band were a DJ set and Elijah Woods x Jamie Fine, who’s powerful vocals echoed throughout the theatre. 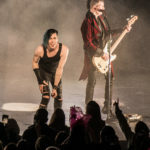 When it was time for Marianas Trench to perform you could feel the excitement, with a perfectly selected playlist to fill the theatre before their set, fans belted out and danced while they waited for MT to take the stage. 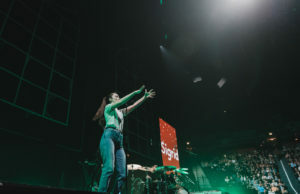 Being in such a large venue, they include a video projection on a screen behind them which went along with their newest album’s theme and included preludes for their newest songs. 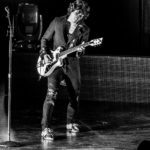 Despite ‘Phantoms’ having only been out for a few days, fans already knew the lyrics and sang along. 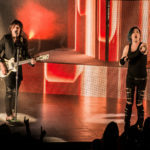 In fact, most of the show were songs off their most recent album but they did squeeze in a few fan favourites from the past like “Stutter”, “Pop 101”, “Cross My Heart” that turned into “Celebrity Status” and of course when it came time for “Fallout”, Ramsey said “this is all you” and the entire crowd sang the opening. That moment gave me chills as their collective voices made the floor rumble. I haven’t heard a crowd sing like that in a long time, over 3000 voices singing the lyrics to such a powerful song. It gave me goosebumps. Wherever you’d look in the crowd, everyone was rocking out, there’d be friends with their arms around each other or young couples either snuggling and dancing along to their favourite tunes. A few rows ahead of me were a family of three, Mom, Dad and the little one all knew the words and were dancing together. It was really heartwarming to see. No judgement, just everyone enjoying themselves. 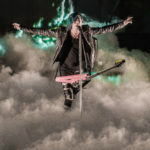 Lead singer, Josh Ramsey, even took a moment to call out an audience member in the front few rows that was jumping up and down with the biggest smile on their face the whole time. 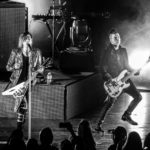 That’s what so special about Marianas Trench, no matter what stage you are in life you can resonate with their music as their powerful melodies and catchy chorus’ get you hooked. 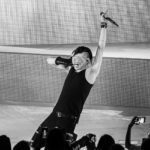 Ramsay’s vocals are phenomenal, especially live, I would say his range even greater than that of the legendary Mariah Carey, he can growl and scream and hit notes higher than I’ve ever heard before. 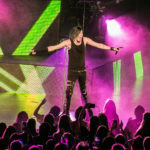 His stage presence is so captivating and engaging with all members of the audience, pointing down to those lucky enough to have a front-row spot to every single person in the balcony. 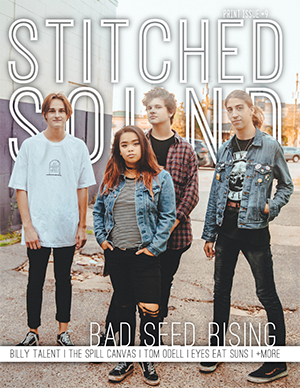 It was a truly immersive experience and felt like such a bummer it had to come to an end. 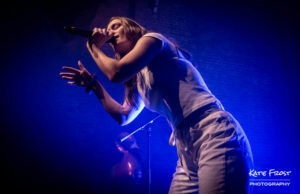 Before finishing their set, Ramsey came out to perform an emotional solo version of One Love that went into this writers favourite “Who Do You Love” before ending the night with an explosive performance of “The Killing Kind”. 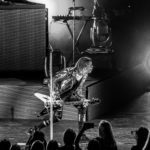 Every moment had people on their feet, there were no lulls in the performance, it was killer track after killer track. 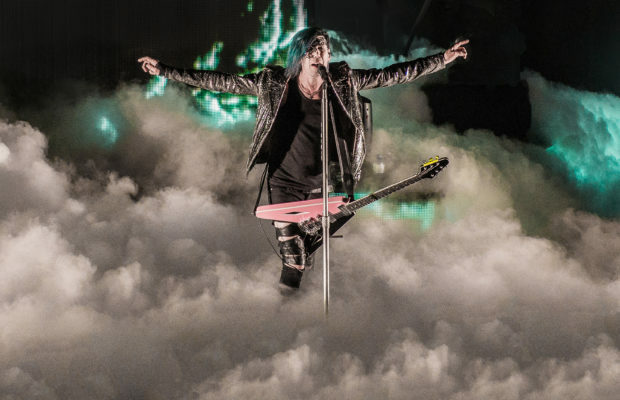 If you weren’t a fan of Marianas Trench before these shows you definitely will be coming out. 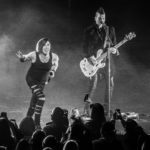 Be sure to check them out on this tour, it’s one you won’t want to miss and peek our gallery for some of our favourite moments!